The overthrow of the civilian government in 1969 aborted a nascent democratic system in which Somalia was a flag bearer of democracy for post-colonial Africa. Incumbent president Aden Abdalleh Osman, who lost to the opposition in 1967, relinquished power. This was in stark contrast to other leaders on the continent, who had inherited the office from colonial rulers, who tightened their grip on power. Siad Barre ruled twenty-one years of tyranny. The laws were drafted and interpreted to serve his dictatorial interests. Most of the government officials were military officers for whom rule of law and human rights were not in their vocabulary at all. The entire system was thus militarized. After the collapse of Siad Barre’s oppressive regime, in Somaliland, restoration of independence was declared and a peace building and state building process proceeded. The rebel groups, who fought and expelled Siad Barre, were dominated by people who were trained and worked under his regime. Hence, those who spearheaded the process of state formation and institutional creations were basically the same people as those who served under Siad Barre. Apparently, they wanted a governance different from that of Siad Barre, but they had little knowledge on how to run a civilian government. 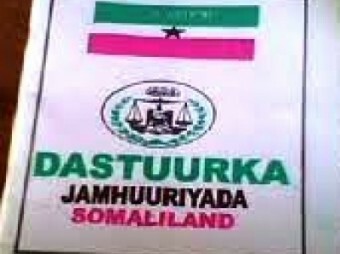 In the year of 2001, a new constitution was approved by the people of Somaliland by an overwhelming majority. The Constitution sets out a government system entirely different and opposite to that of Siad Barre’s. The Constitution has a bill of rights, emphasises rule of law and establishes three branches of state with separate powers that check and balance against each other. Inspired by the willingness and desire of the masses to have a government of their own, the Constitution is the protector of the public. Despite having a constitution with such strong values, Somaliland has not properly reformed its institutions to comply with its requirements. Additionally, many laws that predate and contradict the Constitution are still in place. In fact, these laws are practically dealt as supreme over the Constitution. Since the adaptation of the Constitution, many people have got educated on the subject. Many of the young who read the Constitution have principles that directly contradict the strong views of many in leadership roles who are in key institutions. This has produced a conflict and deep disagreement created by different worldviews. In a number of occasions, I have met with senior officials in decision-making positions who often cite other laws rather than the Constitution. When confronted with the Constitution they allude as if the Constitution is unrealistic. Many of these officials have never read the Constitution. They grew up and were educated, if at all, in an era where there was no constitution, and what the superior officer said was the law. For them, that is easily understandable. Such mentality has been transferred into the subsequent generations who are in the government institutions. It is arguable, of course, that the weakness of the rule of law plays a role in the disregard for the Constitution. However, it is clear that there is a generational gap as well. To make the Constitution operational, respected and accepted as the supreme law of the land, the government institutions must be drastically reformed, and the authentic independence of the judiciary should be ensured. The Constitution cannot be and should not be left for law students to review to pass exams and then leave to gather dust on shelves. It is the most important which has supremacy over all other laws. There is a difference between having a Constitution and working within constitutionalism. Somaliland is the former. The progressive Constitution should not be allowed to be thus challenged and impaired.